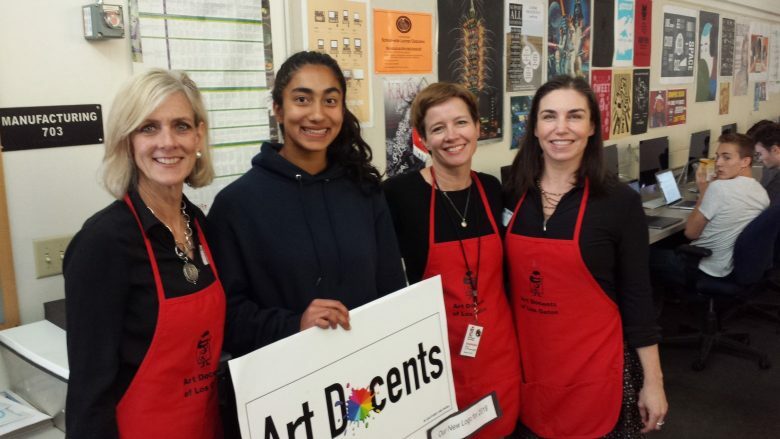 A Los Gatan high schooler has updated the look of the Art Docents of Los Gatos for the first time in 45 years. 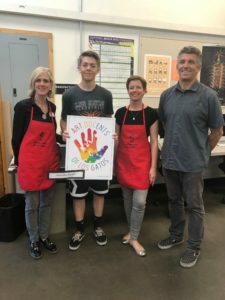 The volunteer-run non-profit was founded in 1973 to provide high quality visual arts curriculum to students in Kindergarten through 5th grade in the Los Gatos Union School District. The goal of the group is fostering the development of flexible, innovative and creative individuals. 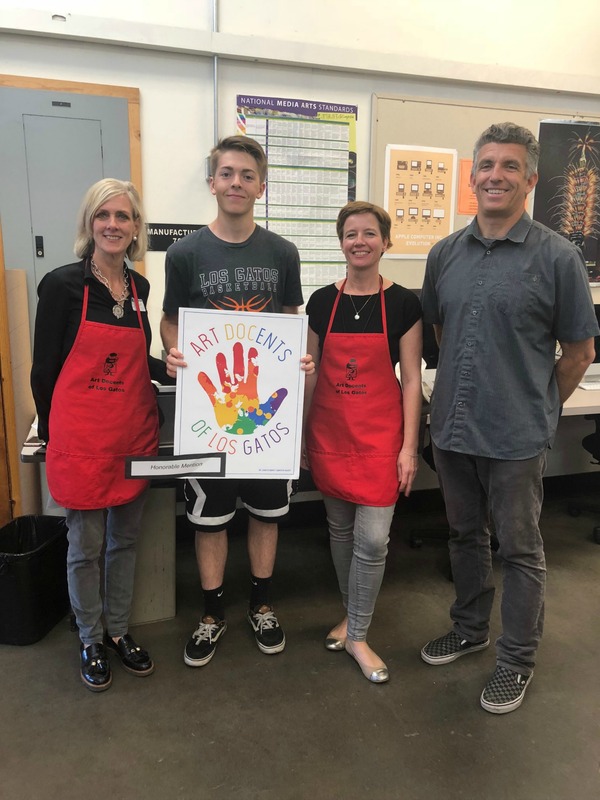 To mark the occasion of its 45th anniversary, the docents ran a logo re-design through Los Gatos High School’s graphic design class. They began the competition in March and received 20 submissions. On Friday, sophomore Mira Sharma was announced the winner with her design, and was met at the school by the docent’s executives. Mira won $300 for her achievement. Fellow sophomore Dawson Smedt took second place and a $150 check. Both are students of teacher Alex Czech. The new logo will begin to appear in the association’s marketing by mid-August as part of a larger story about its ongoing evolution. Congratulations to our two top submissions!